It’s always helpful to get feedback from your students at the end of a Bible study year. But evaluations can be a problem. If they are too short, your leaders don’t gain any useful information. If they are too long, few students will not fill them out. Here’s an example we’ve used at Wednesday in the Word that seems to find the right balance. In prints to 1 page front and back. My online survey tool estimates that it takes 2 minutes to complete. 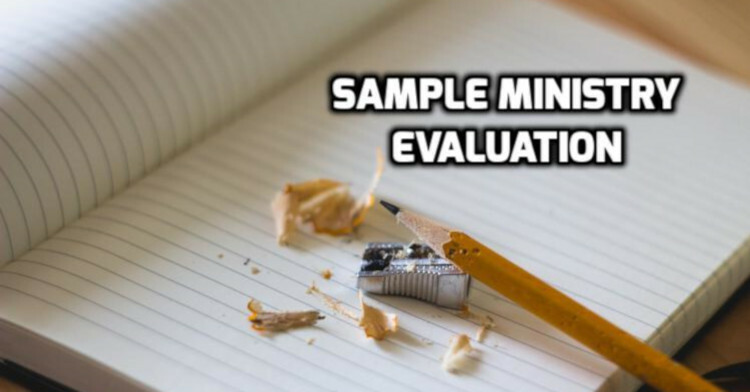 This example survey is geared to a Bible study with a large group, small groups and homework. You can customize it to fit your programs. Please “speak the truth in love” so that we may continue learning how to serve God and you better. Return to your small group leader or to the registration table. What did you enjoy most about Bible study? If you could change anything about Bible study, what would you change? Why?